The top-ranked Hope volleyball team claimed a share of the championship of the Michigan Intercollegiate Athletic Association (MIAA) with a home court victory on Friday night. The Flying Dutch posted a three-set victory over Albion to finish their MIAA dual meet season with a 15-1 record. Hope shares the championship with rival Calvin. The teams split their head-to-head matches during the season. Coached by Becky Schmidt, the Flying Dutch are the top-ranked team in NCAA Division III and have an overall 28-1 record. 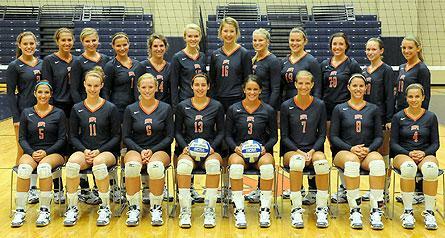 The MIAA volleyball championship is the 12th in school history and the fifth in 10 seasons under coach Schmidt. The conference tournament will be played next weekend hosted by Calvin. Hope will be hosting the NCAA Division III volleyball championships at DeVos Fieldhouse the weekend of Nov. 21-23.